I will do 100% Niche Relevant Forum Posting for your business. 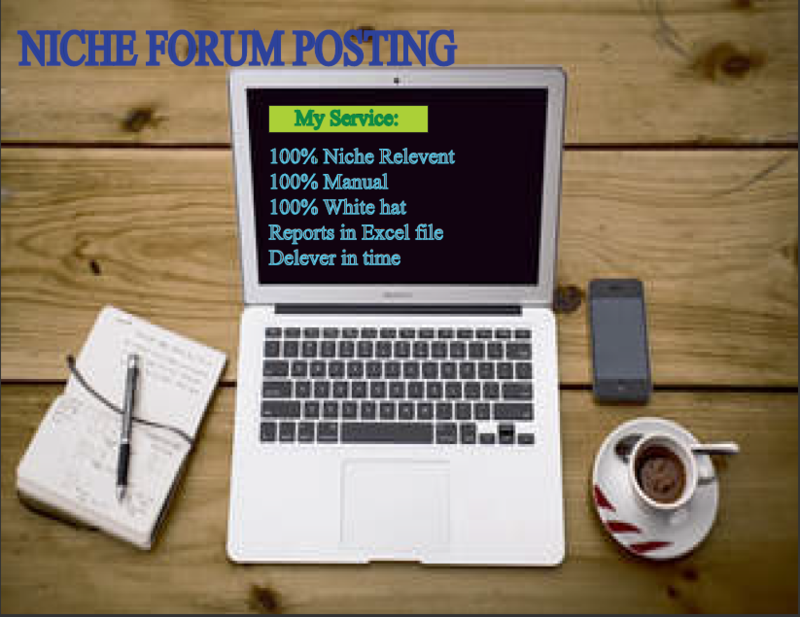 Niche Relevant Forum Post is the most essential path to promote your business or products rank. Niche Forum Posting is a unique method of Off-Page SEO which can help your website to gather more Traffic. 1. Niche Relevant Forum POst. 2. 100% Manual forum post. 5. 100% Penguin & Panda Safe. 6. Full Reports in MS Excel file. yes!!! I have the knowledge & experience for posting and running a forum.Don't think much!! Just pick an order. 100% work satisfaction. If you will Unsatisfied 100% Money Back Guarantee! I can Do 8 Niche Relevant Forum Posting is ranked 5 out of 5. Based on 16 user reviews.